I genuinely just sit and think quite a bit. I am my own little think tank. I don’t have to watch the entire avalanche of manure, that the Main Stream Media tries to spread around deeply and feed the masses into pacification, to know in my gut that it doesn’t add up. If originally ice/methane crystals were forming around the initial concrete top cap that was attempted to be positioned some time ago in the Gulf’s depths… why is it that concrete and mud now is easily flowing down the pipes without fail as the broken unit is filled? How is it being filled if the cap that was placed on it weeks ago is sealed? If that was all there was to doing a repair then why the delay? 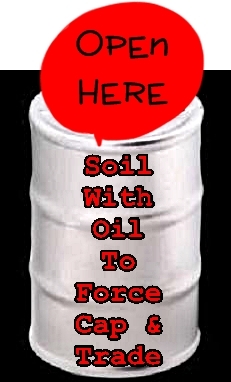 If the oil has been dispersed with chemicals ~ is the composition or effect ~ heavier than water or lighter. If heavier, is there frozen globular masses on the bottom of the Gulf that will shake loose, detach during Gulf Storms or in anyway affect ships and wildlife at sea? If lighter, what is the immediate effect to coastal cities, their inhabitants, wildlife, and areas further inland from the fallout of treated oil, dispersants or any wild combination? For how long? This is not a new kind of accident but a larger version, so why was this treated so differently with massive amounts of chemicals? But if someone exaggerated all of the conditions, then where is all the money? You can’t have it both ways! Remember the Democratic Senators Who Did Not Vote for the Health Care Bill? Are they in this together? Probably, you be the judge! You will be voted out of office, and considered a Pariah on America, at the very first opportunity and re-election attempt. Ladies first – Blanche … in 2010. Bye! Arkansas will rebound and remove two of the clowns that are their master’s minions. Nebraska, America will be counting on you. Don’t let her down when your time arrives!